Is It The Bane Of Your Summer? 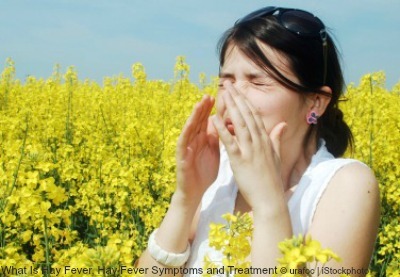 So, what is hay fever? Basically put, it is an allergic reaction to pollen. Pollen is a fine 'dust' that is part of a plant's reproduction process. It is released during the process. This is how it becomes airborne and is able to cause a problem for anyone with an allergy to it. Not all pollen is the same. Some people have a reaction to one type but not to another. Also different types of pollen affect people at different times of the year. The spores of fungi could also make it worse. If you suffer from hay fever all year round you could be allergic to pet dander, dust mites or moulds. The pollen count is measured by the number of pollen grains in one cubic metre of air, over 24 hours. If you wanted to see a pollen count today, it is very likely, especially during hay fever season, to find one as part of a weather report. In the UK the Met Office provides a pollen forecast. There is also a great site in the US, pollen.com, that gives information about the pollen levels in your area. If you see that the pollen count is going to be high in your area you can take some preventative measures. As well as taking some medication. Pollen causes hay fever symptoms by getting into your nose, throat, mouth and ears. 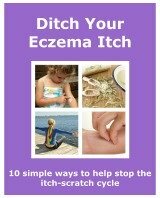 It irritates their lining, and that starts an allergic reaction. The reaction starts because the body perceives the allergen as a threat. This causes the body to release a substance called histamine. Histamine causes the symptoms of hay fever. Your doctor will look at your symptoms to work out if you are suffering from hay fever. It is normally quite easy to recognise. If you are diagnosed with the condition, it will help if you know what is making it worse. One way to find out which pollen/s you are allergic to, is to have a skin prick test. They can find out which allergens are causing your hay fever. If you are unable to have a skin prick test, if for example you are taking an antihistamine, or you have severe eczema, then you may be given a RAST test. This will determine whether you definitely suffer from hay fever. Once your diagnosis is definite, you can start to control your symptoms better. There are a few things that you can do for yourself to help improve it. Although you may follow precautions to limit your hay fever, you will probably find that you will still need to use some sort of treatment. There are a few different treatments that can be brought over the counter, or prescribed by your doctor. Antihistamines are given because they fight the histamine that is released by your immune system to fight the allergen. The histamine produces the symptoms of your allergy. In the case of hay fever it could be runny eyes, runny nose or sneezing. Antihistamines will help reduce hay fever symptoms. You can read more on antihistamines here. You can take them when you first get the symptoms. And also when the pollen count is going to be high. This can help prevent it before it starts. There are some antihistamines that may make you drowsy. If you take these avoid driving and using machinery. Steroid. This type of spray is slower to work on symptoms. They are taken regularly over a period of time. It can take up to 3 weeks for them to work. So it is a good idea to start using them at least 3 weeks before the hay fever season starts. They work well on any symptoms that affect your nose and eyes. Good to use on severe symptoms. They can be used everyday to keep your hay fever away. Just always follow the instructions, to make sure you take the right dosage. You can get some brands at your local pharmacy, or get them on prescription. These are used if you need some quick relief from your hay fever. For example, if you have an important event coming up, like a wedding. You would unlikely be prescribed corticosteroid tablets for longer than 10 days. Taking for longer than that may increase your chances of suffering from side effects. You can use nasal sprays alongside them. Eye drops are used to treat the symptoms of hay fever that affect your eyes. They will help with itchy, watery and red eyes. Bringing quick relief. They can be used alongside antihistamine tablets and nasal sprays. You can buy some from the pharmacy, and some are available on prescription only. Different treatments can be used together. This helps, as between them they can help with all the symptoms of your hay fever. If you find that the above treatments are not successful in relieving your symptoms there is another option, immunotherapy treatment. This type of treatment is carried out at a hospital or a special centre. Sometimes referred to as the hay fever injection. It involves injecting small amounts of substances, you have an allergy to, into your body. You are then monitored for around an hour. This is to look at how you react to it. And to make sure that there are no serious side effects, like anaphylactic shock. The treatment allows your body to get used to the allergen. To build up a tolerance. This means that your body wont produce as much antihistamine. So your hay fever symptoms would not be as severe. Having hay fever can affect your daily life. Whether you are school, at work or at home, it can have a negative impact on your life. If you make your environment as hay fever friendly as possible, and use the right medications regularly, you should be able to limit the impact it has.